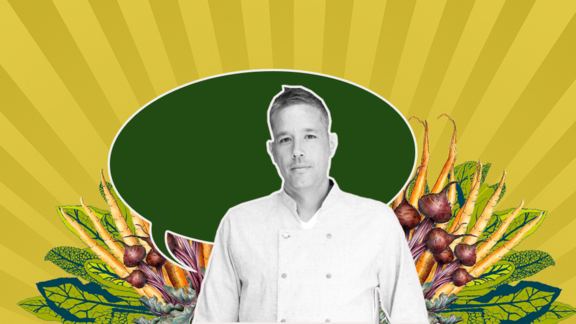 To celebrate his birthday this year, Austin chef Philip Speer challenged himself to go vegan for one month. While he expected to learn techniques that would make him a better chef when he opens his upcoming venture Bonhomie, he encountered a surprising lesson in compassion. He's like, "These black-eyed peas — no dairy — these are awesome, that'll round out your meal nicely." This was in a Texas fried chicken place. I ordered it, I left there happy. I'll go back any day because the experience was made so easy and so accommodating just by someone paying attention. Rather than treating me as a problem guest, a person with “limitations,” he took the time to notice the cues and help me. It was then that I realized: who are we to judge? As chefs, I think our first reaction to vegans and people with special diets a lot of the time is “then just stay home.” Why not just take it that extra step and create what could be a customer for life? We don't know the whole story, why not be accommodating and create these new relationships by going that extra step of being friendly and helpful? By having a little knowledge and compassion? That's what chefs are there for. That's what I learned being a vegan: if I’m really truly being hospitable and doing my job correctly, I’m going as far as I can to be accommodating to my guests. Most people want to go into a restaurant, they want to be served. They want to be taken care of. They want to be hospitality-ized. It's my house and you're coming to join me for some food — I want to be able to cook for you.